What’s all the buzz about and what does it do? It is Google’s new Smart Home voice-activated speaker device (similar to Amazon’s Echo) powered by Google Assistant, set to be released early November of this year. Just like the Google App, which is downloadable from any mobile device through the App or Play Stores, you’ll be able to command it to book your appointments, ask it questions, and change the color of your lights in your Smart Home. 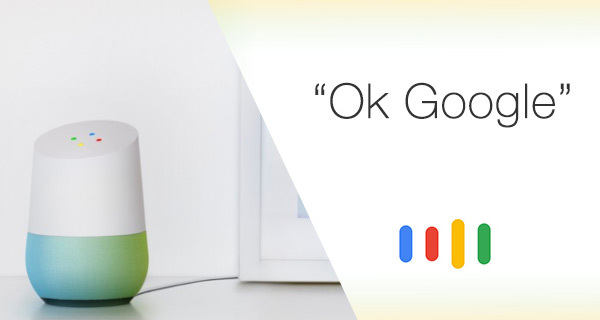 The set up of Google Home is simple. Get it going with one easy command, “Ok Google!” Some of its other cool features include syncing with Google Apps like Google calendar. Google’s Assistant will be able to let you know your schedule and any upcoming appointments in a jiffy! Google Home comes with 7 colors to choose from. Whether you’re the sleek and modern or the nautical beach type, it’s range of looks will match anyone’s Smart Home! It has four LEDs in it’s “Ok Google” App logo colors on the top of the device that flash. The flash will indicate that Google Home is active, listening, and ready to operate. The price of Google Home is currently $129. It will come with a free 6 month subscription of YouTube Red. Google Home can be your new at-home secretary, bluetooth music speaker and smart home controller all in one. Google Home will make your life at home easier, more efficient, and enjoyable! Preorder yours today and have TeachGeek help you get set-up and trained on your new Google Home today! TeachGeek’s services include at home on demand tech help, smart home set up and installation, smart home training, smart home help, computer help, and computer training.